Simple and useful tips to better org charts. 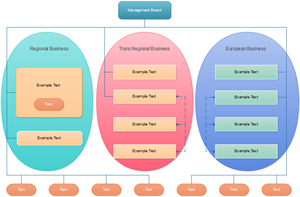 Rely on an advanced and professional tool to gain organizational charts extremely quickly. One professional tool helps you gain polished organizational charts while saving time and effort. Edraw is exactly an advanced solution that suits everybody's need, experts or novices. Try Edraw for free. 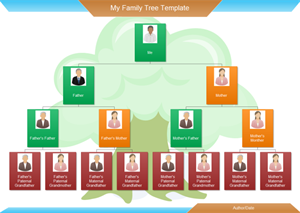 Edraw can create basic organizational chart, photo organizational chart, custom organizational chart and family tree within 10 minutes. Have a look at some examples. Edraw's advantage lies in its auto generation function. 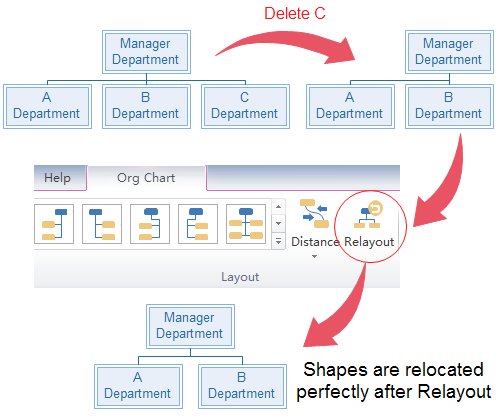 It also helps to cut cost in making org chart, since it is a lot cheaper than Visio. Auto Generation: Except for the first shape, all Edraw's basic organizational chart symbols have two floating quick buttons. Click the right one to add colleagues and click the bottom one to add subordinates. The newly added shapes are automatically connected, aligned and distributed, saving a lot of time and effort. Use different typefaces to make important information stand out and give your chart texture. As for the title, you can insert vector text to highlight it. A few simple changes can make specific text "pop" while making it more visually pleasing in a subtle way. Different color can be used to fill shapes representing positions of different levels. In this way, the hierachical structure become clearer. Organizational charts should be updated from time to time. Even when you create the chart for the first time, you may make some mistakes and need to correct them. Then an easy and quick relayout method is necessary. Here is how to handle it at ease in Edraw. Go to Org Chart tab. Click Relayout. Everything moves smoothly to the right position, leaving no trace of modifications. Use a border to frame your org chart to make it look more organized. In the border, provide information like organization/enterprise name, revision number, date created/updated and your company logo. You do not need to get too fancy with your border. Simply make a good, basic border and keep it consistent throughout your series of diagrams. knowing who will be using your org chart is important. It's more important to make it easily understandable. 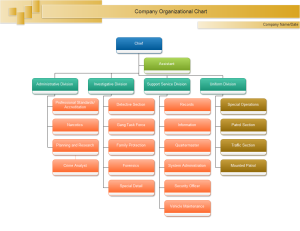 For the company promotion, a basic org chart showing the main departments and reporting relationship is already enough. If it is for inner use, a photo organizational chart with staff's photos is better.